After enjoying one of the best seasons in program history, which included an Oregon West Conference title, a 22-5 record and a trip to the 4A State semifinals, it's no surprise that the North Marion baseball team was well-recognized in the All-State awards at the end of the 2018 season. The Huskies garnered five all-state selections this year, including three — Griffin Henry, Grant Henry and Andy Schmitz — who were named to the First Team. Junior centerfielder Nic Iliyn was selected to the Second Team, while senior Bryce Lemon rounded out the nominees with an Honorable Mention nod for his play at third base this year. 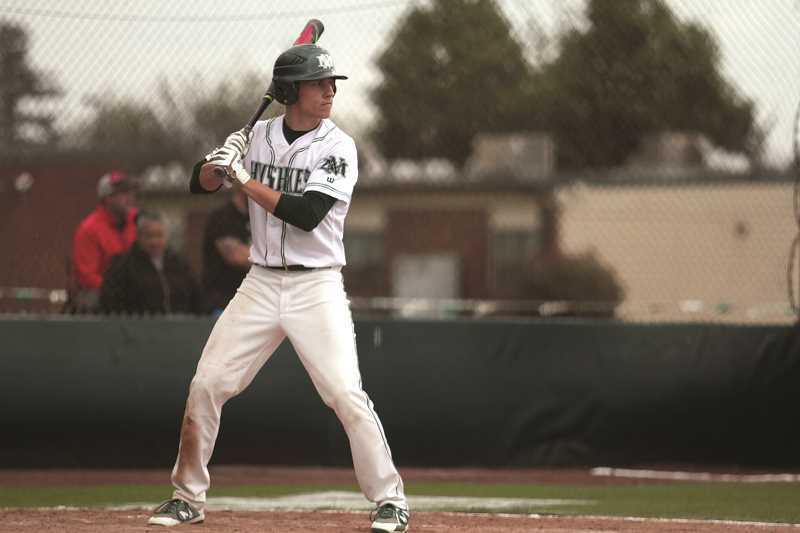 Of the First Team selections, Schmitz was the lone senior, leading the team in a number of offensive categories while holding down the left side of the infield at shortstop. Schmitz was among the most effective leadoff hitters in the state, leading the Huskies in batting average (0.422), hits (35), and runs scored (29). He was also effective at drawing walks, earned 11 free trips to first base, while reaching nine more times due to being hit by pitches, giving him an impressive 0.529 on-base percentage compared with just six strikeouts across 27 games this season. He also led the team with 31 stolen bases, while not once being thrown out on an attempt. He was second on the team with nine doubles, was the only Husky to record a triple this season and led the program in both slugging percentage (0.554) and OPS (1.083). Griffin Henry and Grant Henry — both juniors — gave North Marion a potent combo at pitcher and catcher this season. In a season in which the Huskies dominated opposing teams from the pitcher's mound — combining for a cumulative team earned run average of just 1.56 runs per game — Griffin Henry was the team's standout ace. He was the team's most consistent pitcher, e fficiently chewing up innings by leading the team with 63 innings pitched, more than double that of the team's next-most frequent pitcher. In that time, Griffin Henry struck out 102 batters — nearly two per inning — and allowed just 37 hits, 14 walks and eight total earned runs for an ERA of 0.89 that co-led the team along with the Huskies' No. 2 starter, Trevor Ensign. In the batter's box, Griffin Henry tallied 20 hits for a 0.244 average, driving in 18 runs while scoring 13 times. 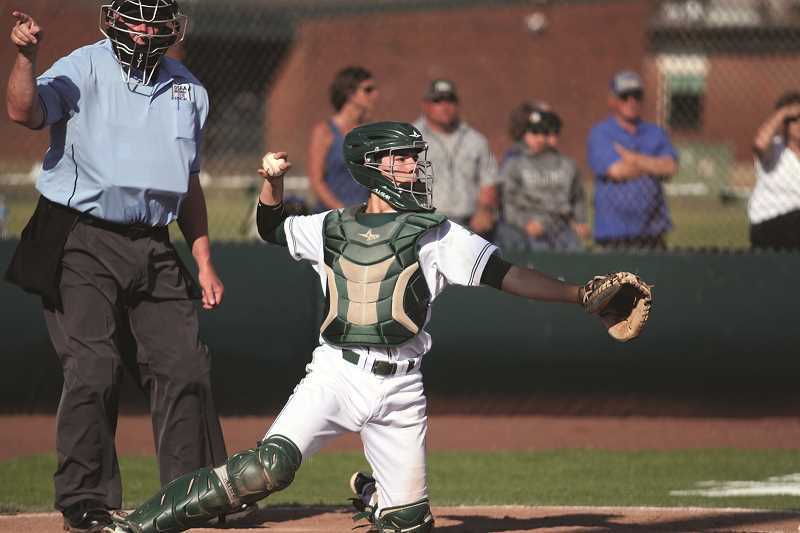 On the opposite side of the mound was his brother, Grant Henry, who earned his First Team nod at catcher while leading the team with 154 putouts and recording just one error this year. His defense helped keep teams from gaining many extra bases against the Huskies, recording just two passed balls in 183 innings while throwing out 2-of-7 attempted stolen bases. On offense, Grant Henry was the team's top power hitter, leading the Huskies with 11 doubles and 23 RBIs, tallying 24 hits total for a 0.289 batting average. He also added 17 walks and 22 runs scored, both second-best on the team, finishing the season with a 0.390 on-base percentage. For the Second Team honors, Iliyn's top-end speed made him a defensive standout at centerfield and a nightmare for opposing teams on the base paths. Iliyn was one of five members of the North Marion team to finish the season without recording an error, doing so while leading the team with 184 innings played. On offense, he finished just one-one thousandth of a percentage point behind Schmitz for the team-lead in batting average, racking up 32 hits for a 0.421 average. Of those hits, nine came via bunt — only three other members of the team were able to reach base on a bunt once this season. Iliyn also led the team with 23 walks, accounting for a team-best on-base percentage of 0.553 and an OPS of 1.040 that was second-best on the team behind Schmitz. Iliyn also accounted for 28 stolen bases in 30 attempts. He finished the season with 21 runs scored and 15 RBIs. Lemon, who held down the left side of the field with Schmitz, was one of just four members of the team to record more than 180 innings played this season. He was a strong presence at the plate, counting up 21 hits for a 0.269 average, 13 RBIs, and 17 runs scored. He added 10 walks was a perfect 6-for-6 on stolen base attempts.